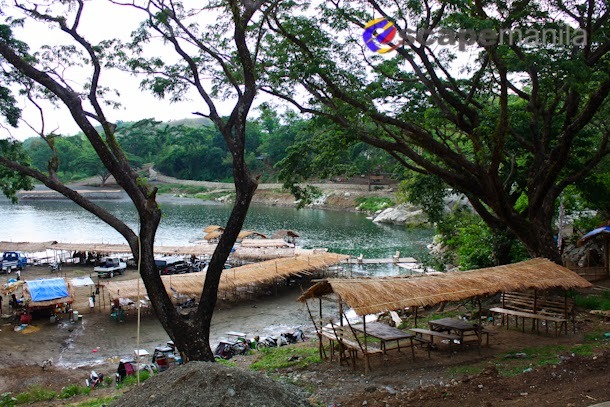 Minalungao National Park is fast gaining its popularity as a top tourist destination in Northern Luzon. 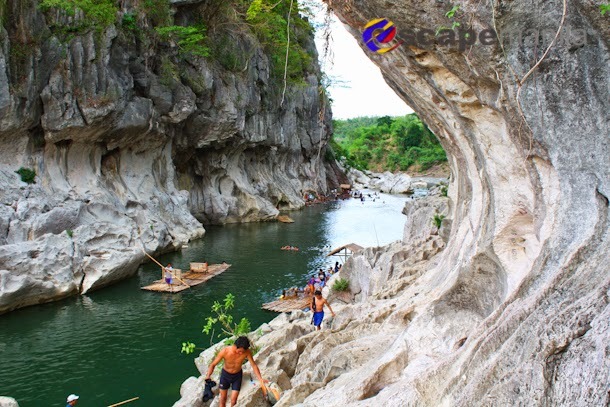 The national park is a protected area located in the town of General Tinio (also popularly known as Papaya) in the province of Nueva Ecija. Minalungao National Park covers a total land area of 2,018 hectares and was declared as a National Park in 1967. 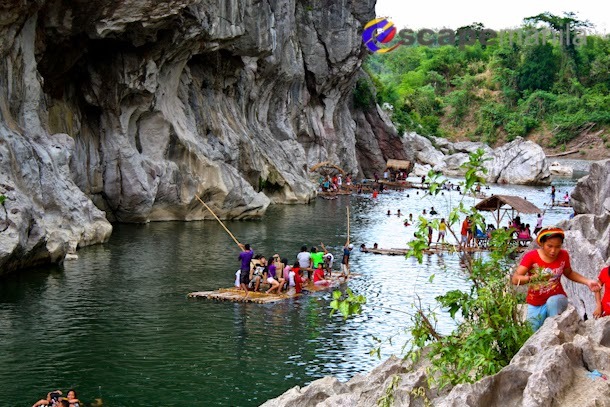 Today, Minalungao National Park is one of the most visited tourist attractions in Nueva Ecija. 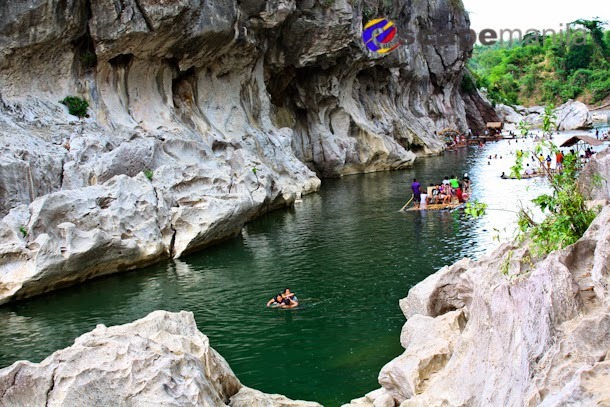 Visitors come to the park to swim, raft and enjoy the scenery of the 16-meter high limestone walls and the clear water of the Peñaranda River in between the limestone walls. 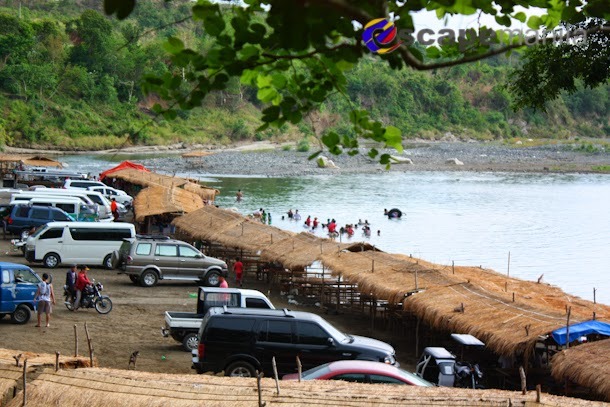 On my last visit to Minalungao National Park, I was surprised that it is already that crowded. It was on Friday when I went there but still I have seen a lot of visitors, how much more during weekends. Perhaps,it is because it’s summer time. I was kinda disappointed when I first saw the area where a lot of cottages were built. It was dirty, crowded and there was a lot of flies flying around. The water where the people swim wasn’t so inviting. I thought the trip was a total disappointment but when I started walking around and went to the limestone area, I was amazed. I love the limestone walls and the clear water of the river. It was really nice to finally see it. There were a lot of tourists rafting and swimming around the area but the beauty of the park is still there. It is definitely a picture-perfect scenery. 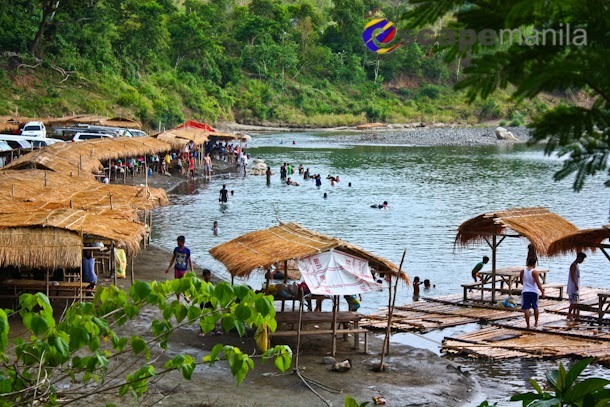 How to Go to Minalungao National Park? 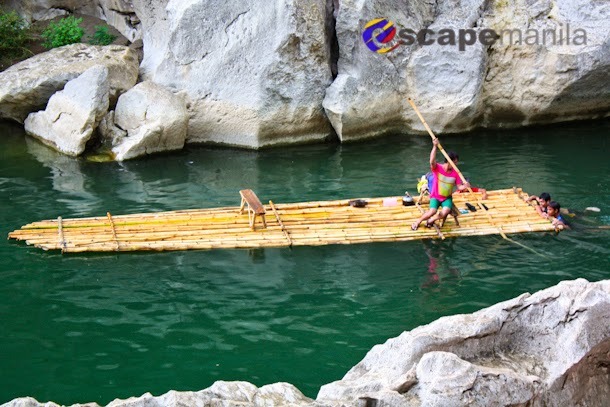 There are a number of options in going to Minalungao National Park. Here’s a suggested way on how to go there the cheapest possible if you are commuting. 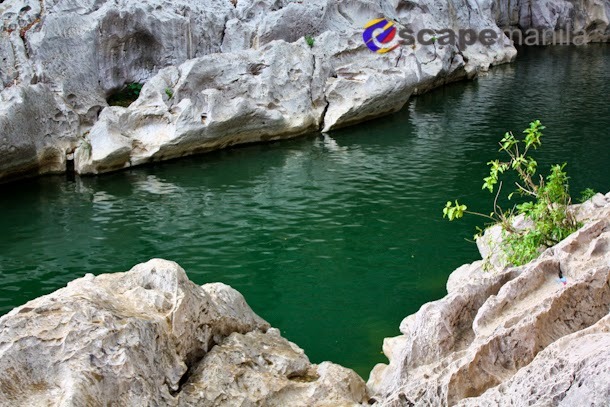 Take a bus going to Gapan or Cabanatuan and alight in Bucana (Gapan’s town proper). There are Five Star Buses from Pasay and Cubao that goes to Cabanatuan City that passes Gapan, NUeva Ecija. Travel time is around 2-3 hours depending on the traffic situation. Fare from Cubao s P150 and P196 from Pasay. 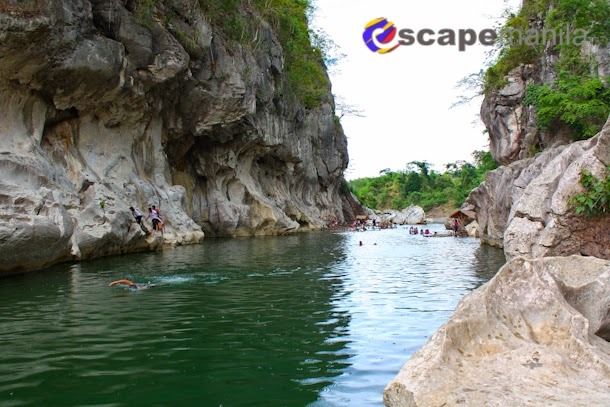 Take a bus or jeep going to Gapan and alight in Bucana. Travel time is around 1 hour. Fare fr the aircon bus is P50 and jeepney fare is P35. There are two options how to get there. 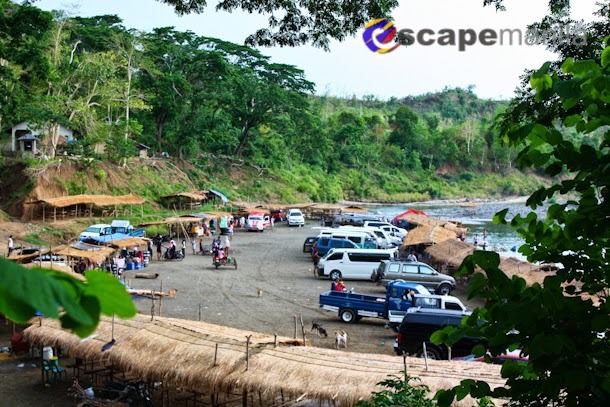 The first and the cheapest option is to take a jeepney from Gapan to the town of General Tinio. Fare is P23 and travel time is around 30 minutes. You may also take a tricycle from Gapan to Papaya and fare is between P120-P150 depending on your negotiation skills. From General Tinio, take a tricycle going to Minalungao National Park. travel time is around 30 minutes and fare is between P300-P400 roundtrip. 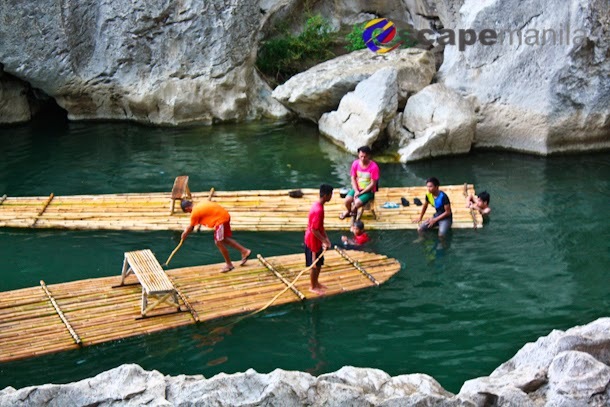 The second option (the one I did) is to charter a tricycle from Gapan going directly to Minalungao National Park. Travel time is a little ver an hour. The initial fare that the trike driver asked me was P800 return but I managed to negotiate it to P600 return since I was not planning of staying there for long. Entrance fee to Minalungao National Park is P20 and trike entrance is P30 for those coming from Gapan and P20 for trike based in Papaya. There are cottages for rent for P300. 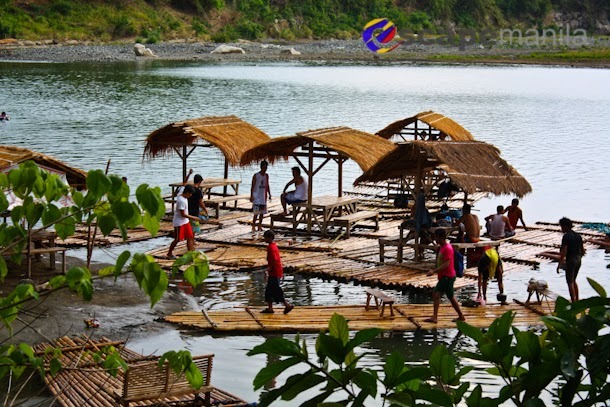 You may also rent a balsa for approximately P800 depending on your negotiation skills. You will also have to pay P10 to use the CR.